Is your social media stamina dwindling? Hit refresh with this popular app for visual storytelling and building brand awareness. Sharing the materials, processes, and products that make up your visual brand on Instagram is an easy way to showcase what makes your business unique and connect with followers. This popular photo-sharing app encourages spontaneity and offers an alternative to copy-heavy marketing, making it ripe for visual storytelling and building brand awareness. Make the most of your Instagram presence by following these tips. When you first start using Instagram to market your shop, take an experimental approach. Try different things to see what posts get the most likes. During this period of trial and error, take time to analyze what received the most likes and why: Was it your image quality? The colors? Your funny caption? Did you tag the image effectively? Was it the time of day you posted? If you’re stumped, try exploring the accounts of other brands you respect and admire. Follow like-minded people and interact with them. If you find yourself gravitating toward a particular type of post, consider testing out similar content on your own channel. Martha Porter of Buried Diamond cultivates an engaging Instagram feed by getting creative with product announcements, and mixing content about her brand with images that inspire her (like the flowers above). She keeps the look cohesive by focusing on her brand’s bright and cheerful color palette. Photos by Buried Diamond. Once you’re committed to Instagram, set up a business profile. There’s no cost to switch to a business profile, and with one you gain access to useful insights. Insights provide information to better understand how your content is performing and who your followers are. Insights start from the day you convert to a business account, offering information about reach, impressions, website clicks, most engaged posts, and video views. You can also use insights to learn more about your customers, including their gender, country, and the time of day they’re engaging with your Instagram page. These demographics can help you cater your content and the timing of your posts. As an Etsy shop owner who migrates over to a business profile, you’ll be able to add a contact button next to the traditional follow button. If you have a brick-and-mortar store you can even give your customers the option to text, email, or call your business or include map directions to your shop’s location. Before you can switch to a business profile, you’ll need a Facebook business page for your brand. Click on the wheel widget on your profile and select “switch to business profile.” Then connect your Facebook business page. Learn more about how to switch on Facebook’s help page. Use captions that relate to the visual story you're telling about your business to complement the photo or video you’re posting. Adding a few hashtags that relate to the visual content you’re sharing can help tie your posts together. When you’re just getting started try using the Explore tab to see which relevant hashtags are trending (#makersgonnamake is an example of a popular result). Using a popular hashtag like this makes your post part of a larger Instagram trend. For more ideas, you can click on a hashtag to see Instagram’s suggestions for related hashtags. 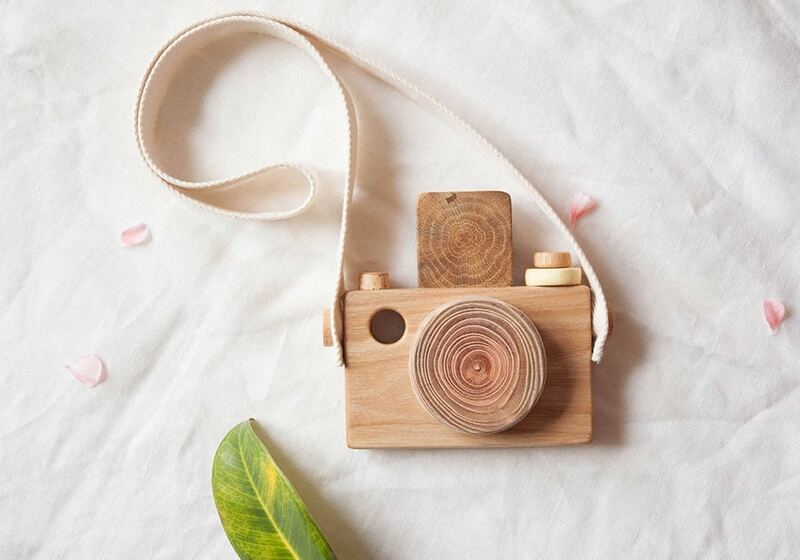 Share to Instagram using Etsy's social media tool and we'll suggest hashtags you can use. If you're concerned that adding a bunch of hashtags could make your caption look cluttered, try using the comment field to add hashtags on your photo. When you promote your business on social media, you open up a new avenue for communication with your customers. While Instagram gives you an easy way to keep customers in the loop (for example, letting customers know when you release new products), it also gives customers a way to reach you. Be prepared to receive more comments and questions on the platform as your Instagram presence grows. If someone is praising your business or asking whether something is available, answer the questions and respond to say thanks. Replying quickly to customers is key due to the fast-paced nature of the platform. For time-crunched entrepreneurs, another big benefit of marketing on Instagram is the ability to post on the go. Though it's a good idea to post at least one new image a day to keep followers engaged, you can go at your own pace. You may want to take a more spontaneous approach to posting, depending on what's going on in your studio on any given day. If you take a few photos of a specific process or technique, space them out rather than posting them all at once, mixing in product shots and other images. You can also try shooting a few less formal photographs when taking product shots. Then you have an image set to pull from when promoting that product. Those photos can be repurposed to build buzz around a sale or restock announcement, for example. Martha Porter of Buried Diamond posts shots from her studio and creative process. In these Instagram posts she shares excitement for her materials, including jars of glitter (above left) and a new mold for shaping her resin creations (above right). Photos by Buried Diamond. Instagram is a great platform for showcasing your personality. Sharing behind-the-scenes or meet-the-maker style posts are a great way to build your overall brand voice and connect with your audience. Use your Instagram feed to showcase the tiny details that make your brand special. A few fundamentals to try out: shots of your work, your process, and your workspace. Be sure that your feed remains true to your brand’s aesthetic. When a casual browser looks at your profile page, they should understand at a glance what you're all about. For example, if your brand is centered around home goods, you might focus on sharing images of scenes taken in living environments. Read How to Market Your Business on Instagram Stories and Snapchat for more ideas. Instagram can be a great way to promote a sale. One key to running promotions on Instagram? Moderation matters. Share your item promotions sparingly—otherwise you risk annoying your followers. Remember to use the link in your Instagram profile to direct followers to your shop and offer more detailed information about any promotion you’re running there. Make your photo captions as clear as possible. And be ready for an influx of questions and comments. Reciprocity is a driving force behind Instagram, so be sure to like, share, and comment on other people's photos as well. If you “regram” a customer or friend, always credit the original poster. Keep customers engaged by encouraging them to post and tag images of themselves using your items. You can also use Instagram as a market research tool. Check out the profiles of your followers to find out more about your customer base and spend some time analyzing which products get the most likes. You can also use Instagram to inform your product development. For example, if you sell jewelry you might ask your customers which stones they’re most drawn to or what their favorite chain length is. Creating this give-and-take dialogue gives customers another way to feel invested in your brand. Once you’ve mastered using hashtags, take your social media presence to the next level by creating a hashtag for your shop. When used correctly, a hashtag campaign can introduce you and your brand to shoppers you might never meet otherwise. For example, customers who share your products with your hashtag on social media bring you free promotion to their followers (who likely share your taste). But how do you get your hashtag to take off? Read on for tips on creating your hashtag—and using it to promote your business. Do your homework. Before you settle on any hashtags, type your potential hashtag in the search bar on Instagram to see if it’s already in use. Check out what kind of content is being shared with a hashtag before you adopt it as your own. A thorough search will help rule out phrases with double meanings or unwanted connotations. Get your business name out there. It’s often natural for customers to hashtag a brand’s name when posting a product on social media, so take advantage of this and own your business name as a hashtag. Use that hashtag in your posts, and encourage customers to use it through a call to action, such as: “I love seeing my products in their new homes! Share how you use this piece and don’t forget to include this hashtag so I can find you.” Include your hashtag on your website and in any marketing materials you send to customers. Tap into your audience’s lifestyle. Hashtags can also be a great way to show potential customers what your brand is about. You can tell your brand story in a bigger way by building campaigns around hashtags that relate to your brand values. Jahje Ives, owner of baby mobile shop Baby Jives Co often uses the hashtag #inspirewonder when sharing photos of her products on Instagram. The hashtag embodies both Jahje’s brand and parenting philosophy, and has a wide appeal among Baby Jives Co customers and other potential shoppers. Photos by Baby Jives Co.
Jot down notes on who your ideal customer is, asking yourself what they like to do, see, and post about. Draw from these ideas to create a hashtag that focuses on their interests. When you harness a community of like-minded individuals, you can connect with people who have potential to become customers and collaborators. Find more tips on identifying your target customer in The Essentials of Marketing Your Business. Use supplemental hashtags. By adding other hashtags alongside your own, you can draw a wider audience to your posts. Choose hashtags related to your product that are meaningful to you, and think about what hashtags your target customer might search. Type hashtags into Instagram search to see how popular they are. If they have millions of posts tagged, you may want to choose a more specific one so your post doesn’t get lost in the crowd. Give your followers incentive. Giveaways are an easy way to quickly drive adoption of your hashtag. Running a giveaway promotion can be as simple as asking followers to post (or re-post) using your hashtag. For more information on running a hashtag promotion, see Organizing a Productive Promotion in Your Shop. Keep in mind that giveaways may be subject to sweepstakes laws, which can vary from one country to the next. Familiarize yourself with any laws that may apply to your giveaway before you get started. Pro Tip: Once you’re comfortable promoting your brand via Instagram, consider inviting an influencer to take over your Instagram for a day, boosting exposure for both brands. #TakeoverTuesday is a good place to look for inspiration. Read more about working with influencers in How to Build Your Following. You can share to Instagram right from your Shop Manager using Etsy's social media tool. Check it out.